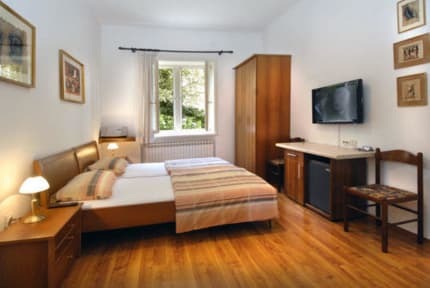 In the Center of Zagreb city, in the one of the nicest and most beautiful parts of the Zagrebe, only a 10 minutes easy walking or 3 tram stations from the main Square (Trg Bana Jelačića), on the address Jadranska 9, you will find Angela Classic Rooms, our especially pleasant and excellently furnished rooms with all additional accommodations. All rooms are newly arranged and intended for short lease and long lease. All rooms have their nicely equipped private bathrooms, central heating system, fridge, mini bar, microwave, LCD TV, HIFI, free WIFI internet and separate entrance. 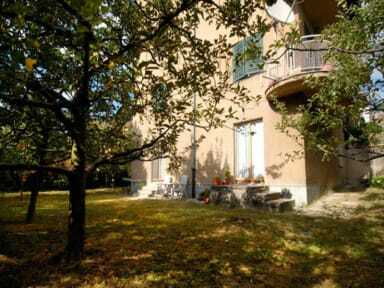 Also you can use nice and quiet garden where you can enjoy on fresh air surrounded with flowers. ​There is also special secured place for bicycles. Pets are welcome. Parking is at the front of the building and it is free of charge.